E-mail us! Click to send GBP email! GBP is located in the heartland of the USA. This is where farm machinery, construction equipment, cars, trucks, recreational vehicles and boats are made. International, national, regional and local manufacturers are doing business with GBP to promote and educate consumers about their products and services. 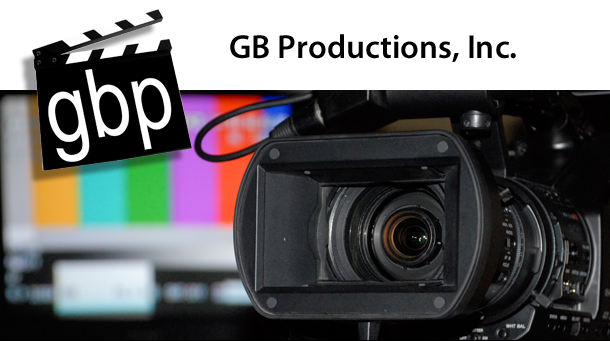 What We Do We apply our talents to projects utilizing the latest video and still production equipment. Script writing, narration, field production, studio shoots, post production editing and digital media support are some of our every day tasks. Some projects require a concept to finished deliver, some just production services. We'll work with you to get the images you need to help tell your story, document an event, and deliver online content. customer service and transportation employees. physical and spiritual quality of life. So just what does the term "fresh cow" mean? This project took us to dairy farms to find out. is a passionate endeavor for GBP. GBP produced a meeting opener for an agricultural manufacturer by writing a custom song and recording a humourous "music video" to set the mood of the conference. Short "bumpers" are often used to introduce subject mater experts during live meetings. This module is quick paced and highlights a specific business unit. business to business communications, annual reports, corporate events and travel logs. Greg Braun is a seasoned and accomplished photographer and videographer. His professional career began as a corporate media producer in the agricultural and construction industry. He started GBP in 1988 serving corporate and industrial clients. Greg is passionate about collaborating on media projects that deliver great results. Kathy Lenz is our project producer and resident author as well. Her book "Casting For Clients: The Video Lure" is a guide for private practice professionals and local businesses to utilize video. Kathy helps businesses produce video to launch and demonstrate their products and services, educate audiences, and promote their brand awareness.